Skype has released 5.5 Beta for Windows with more Facebook features and integration. You can now see your Facebook friends in your Skype contact list. 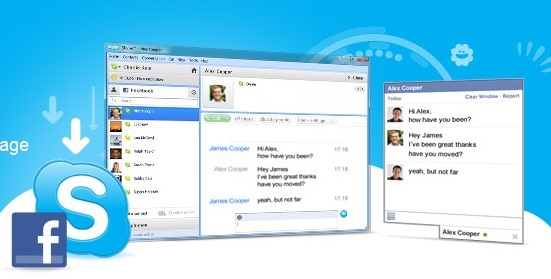 You can also chat / instant message with your Facebook friends in Skype. The new Beta version has more Facebook integration. You can now like and comment on Facebook from Skype.